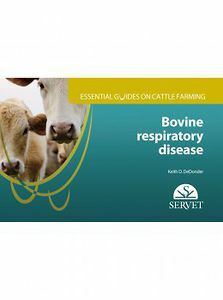 Bovine Respiratory Disease (BRD) is probably the most common and costly disease affecting the beef cattle industry worldwide, causing damages and losses in recently weaned and feedlot cattle, nursing beef calves, housed dairy calves, and lactating dairy cows. In addition, BRD is a complex multi-factorial disease entailing the interaction between various factors, such a host factors (age, immune status, etc. ), environmental factors (transport, temperature fluctuations, ventilation, etc.) and infectious agents (viruses, bacteria, etc.). This handbook, including the most essential contents, has been carried out by a renowned expert with a wide experience in this field. Thus, this updated book (visual-type) is the most helpful tool to properly control this disease. The atlas format makes the contents understandable and accessible to readers.